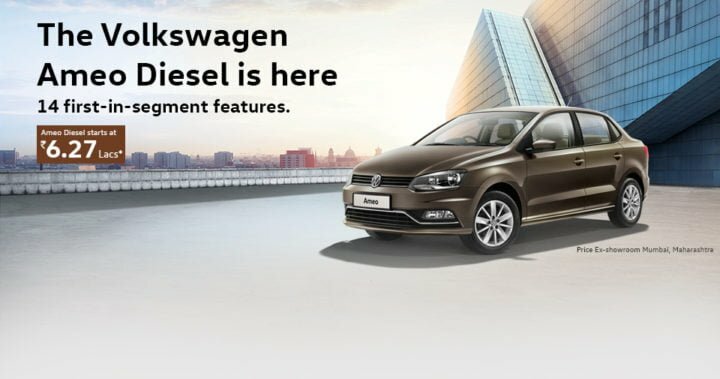 Volkswagen Ameo Diesel Launched at Rs. 6.34 lakh! 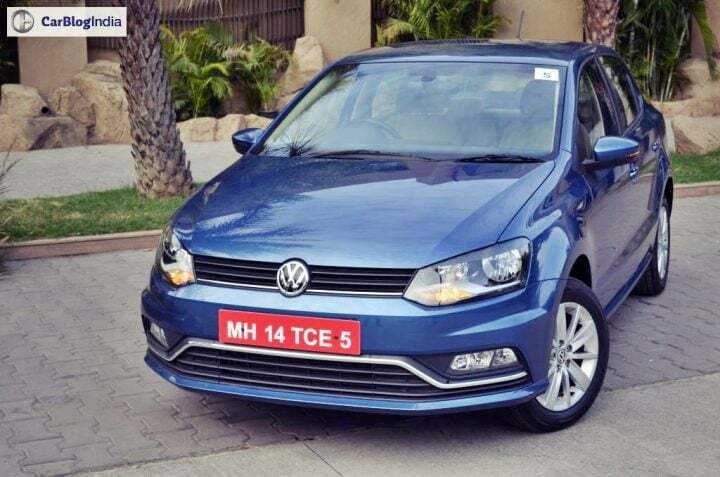 Volkswagen launched the Ameo compact sedan in India in June 2016, but only with a petrol engine option. 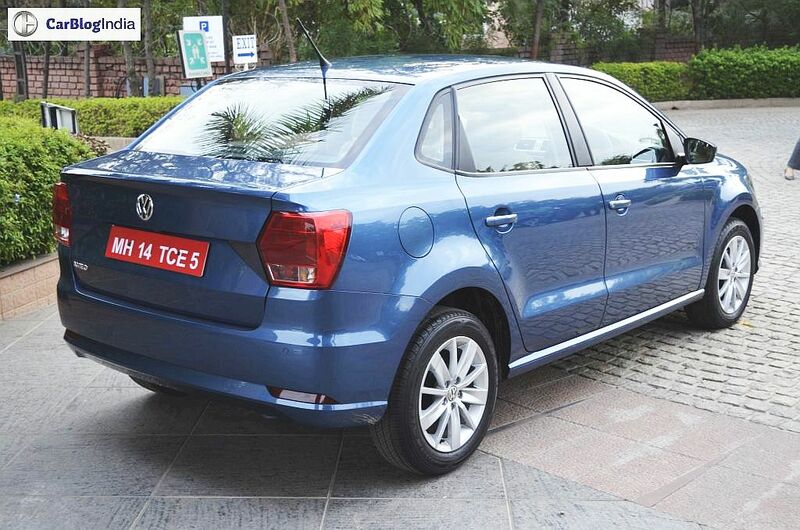 Now, Volkswagen has launched the Ameo Diesel with updated version of VW’s 1.5 L TDI. It is available with manual and automatic transmission options. 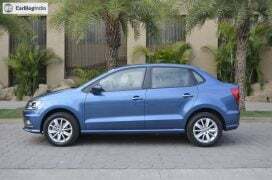 Prices of the Volkswagen Ameo Diesel start at Rs. 6.34 lakh (ex showroom) for the base Trendline manual variant. 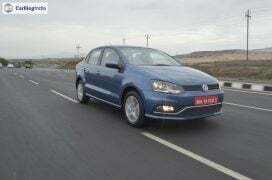 Also on offer are automatic variants with a 7-speed DSG with prices starting at Rs. 8.50 lakh. 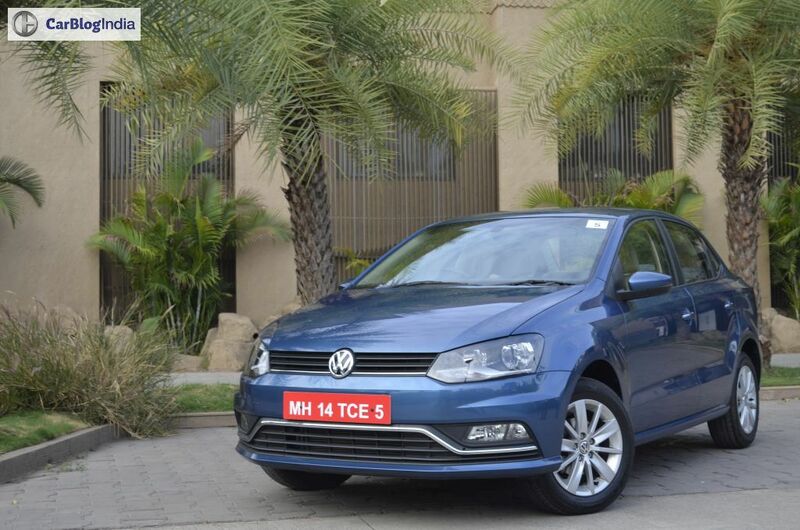 Read on for more on the Volkswagen Ameo Diesel Price, Launch and specifications. 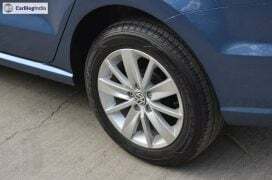 The Volkswagen Ameo Diesel range starts at Rs. 6.34 lakh for the base Trendline variant. 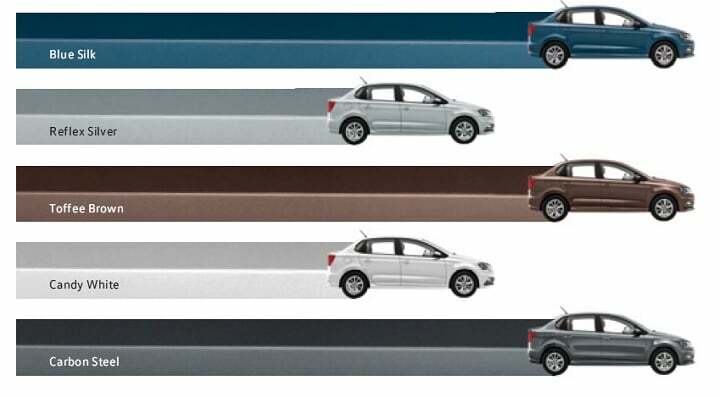 The top end Highline manual costs Rs. 8.17 lakh. 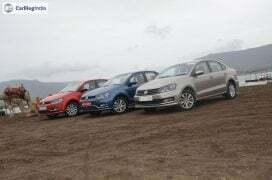 Volkswagen is offering the Ameo Diesel Automatic in Comfortline and Highline variants. They cost Rs. 8.50 lakh and Rs. 9.32 lakh ex-showroom Delhi respectively. Much like the petrol models, the diesel models of the Ameo also undercut those of the Polo. The mid level Comfortline and top end Highline models of the Ameo Diesel get an optional 7 speed DSG Automatic transmission. These are more expensive than fellow diesel automatics Tata Zest and Maruti Dzire as those two feature a much cheaper AMT unit. 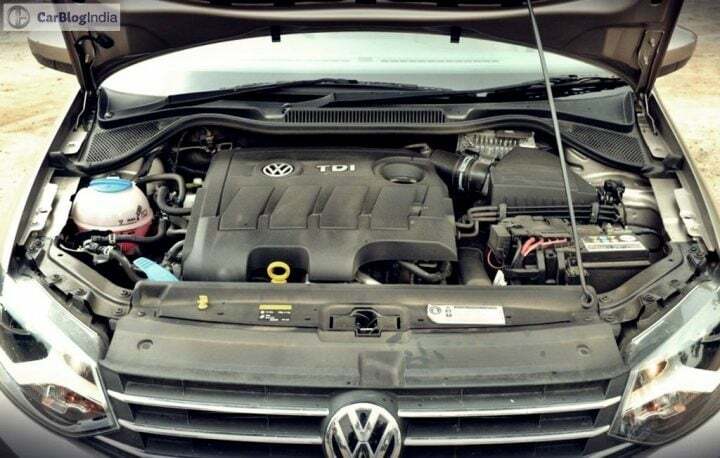 As part of the update, the 1.5 L diesel unit witnesses an increment in power and torque. Maximum power is up by around 20 bhp to 108 bhp. This makes Ameo the most powerful cars in their respective segments. 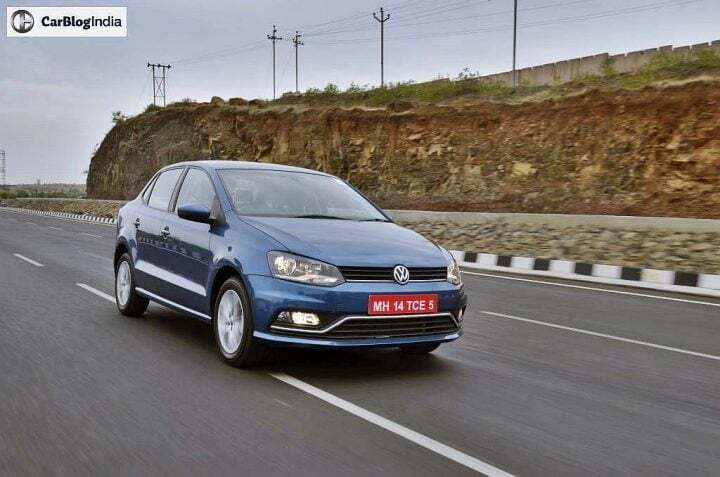 While the petrol model gets only a 5 speed manual transmission option, the Diesel Ameo is available with an optional 7 speed DSG automatic gearbox. Quite obviously, the dimensions of the Ameo D remain the same as the petrol version. Although the new diesel variants of the Ameo are heavier than the petrol variants. Other than rivalling the Maruti Suzuki Dzire, the VW Vento based compact sedan also competes with the Tata Zest, the Hyundai Xcent and the Honda Amaze. 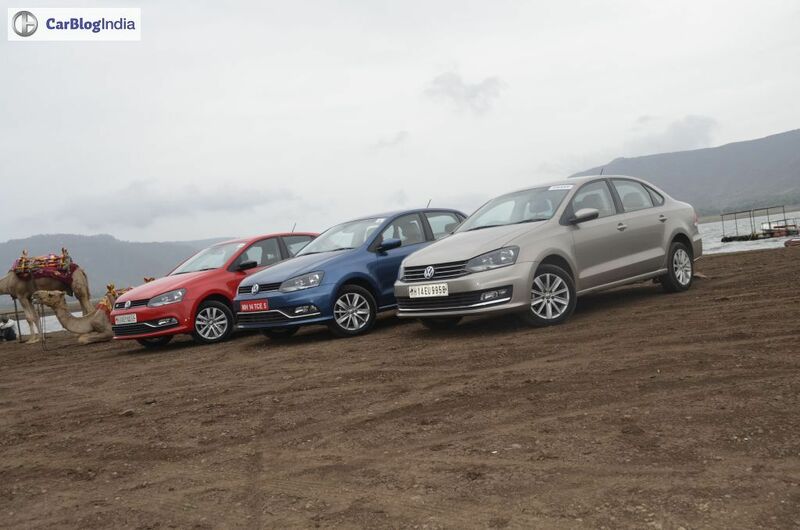 The diesel models look identical to their petrol-sipping siblings. The only differentiating factor is the TDI badging on the boot. 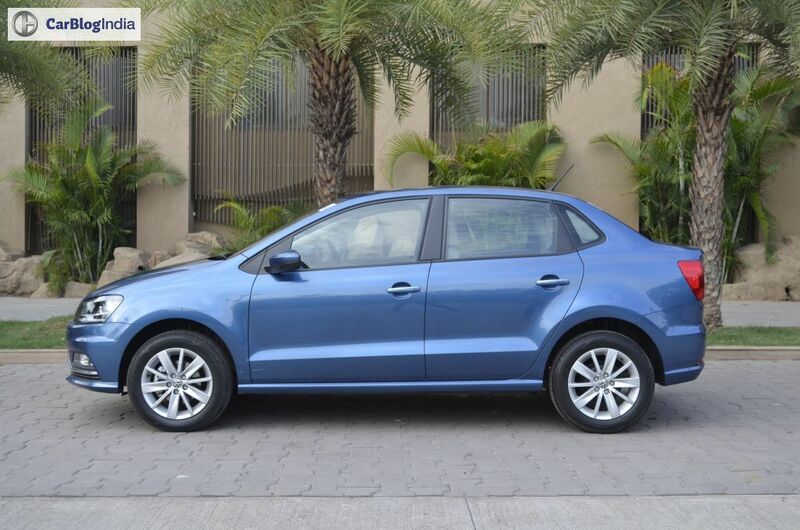 The Ameo is one of the better looking compact sedans on sale right now. 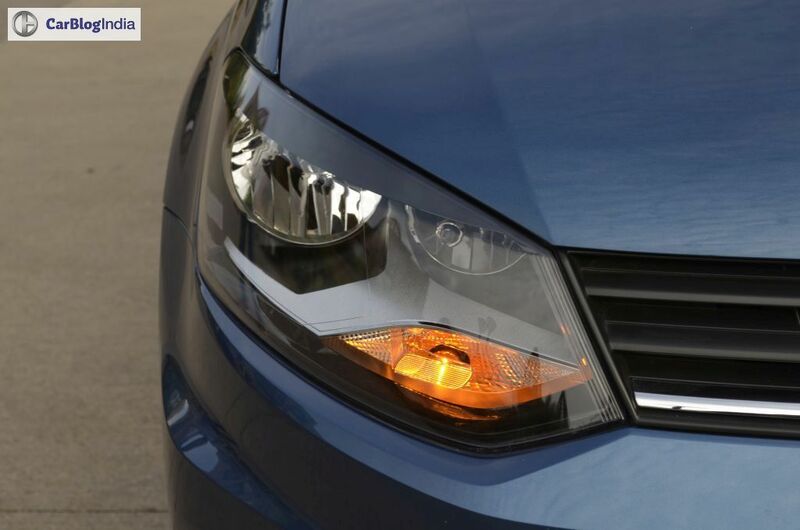 The front looks identical to the Polo, save for a slightly different bumper. The back features a squarish stubby boot with rectangular tail lamps. 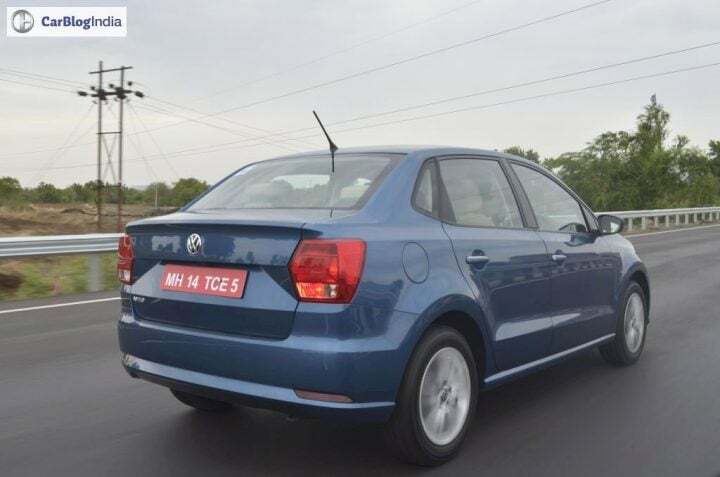 Volkswagen has done a decent job of integrating a boot into the rear end of the Polo given the design constraints associated with compact sedans. However, the boot could have been a little less squarish with a slightly softer design. 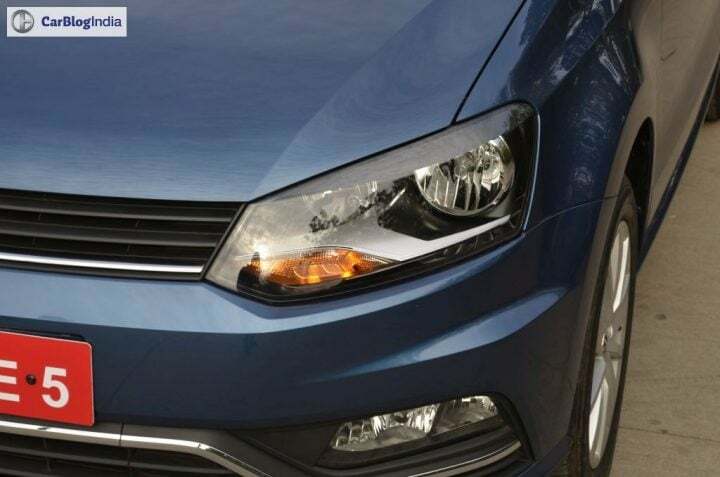 It is almost impossible to distinguish the Ameo from the Polo when viewed head on. 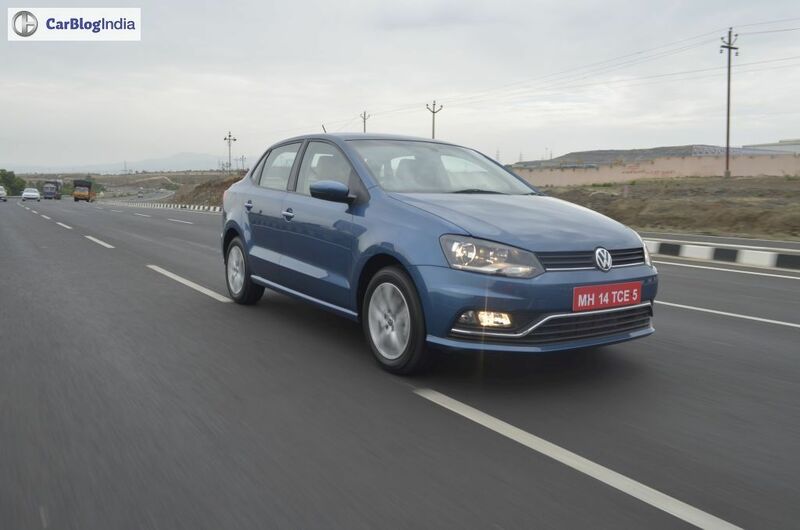 Much like the exteriors, the interiors of the Ameo are identical to the Polo as well. 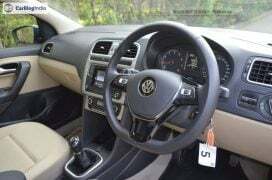 It gets the same elegant dashboard design with high-quality materials, a typical Volkswagen trait. Volkswagen has loaded the car up with features. The dashboard comes finished in black and beige with silver highlights for the centre console. 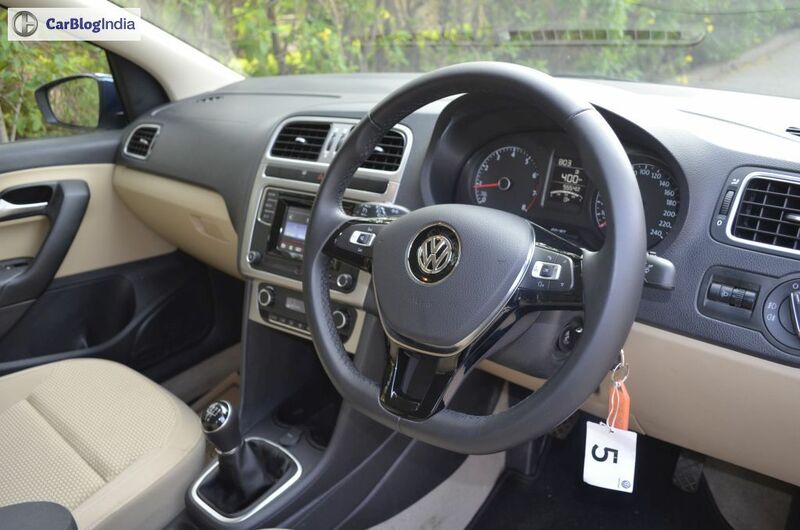 The Ameo also gets the Polo’s sporty flatbottomed steering wheel. In terms of cabin room, the Ameo is identical to the Polo. The rear seat is comfortable, but not very spacious. 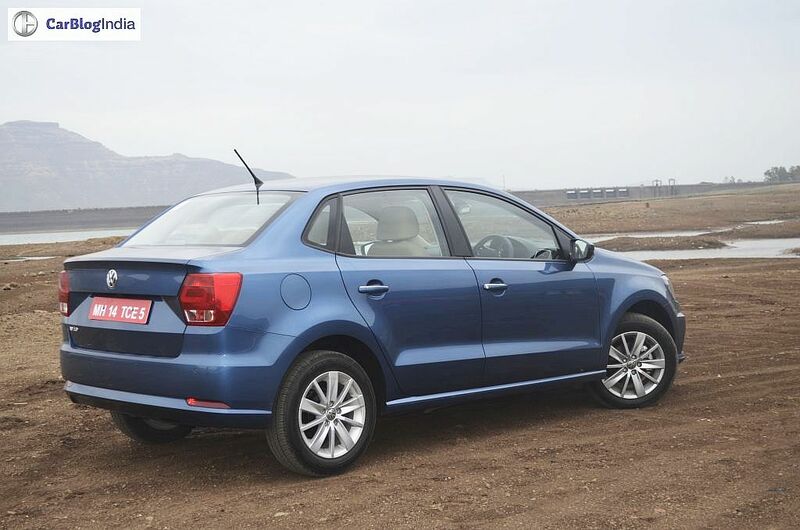 Powering the Ameo diesel is a new version of the 1.5 litre Diesel that powers the Polo, Polo GT TDI and Vento. This unit is more powerful and boasts better fuel mileage as well. It comes with a 5 speed manual and a 7 speed automatic transmission option. Maximum Power stands at 110 PS while peak torque is 250 Nm. Overall fuel efficiency figure is 21.73 KMPL for the automatic transmission variants. The new Diesel engine should make this car really good. We really can’t wait to review the Ameo Diesel. After the launch of the Ameo diesel VW will bring the new models of the Polo and Vento. 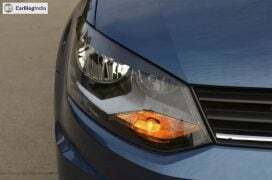 These will have this new 1.5 litre diesel engine along with other cosmetic changes. 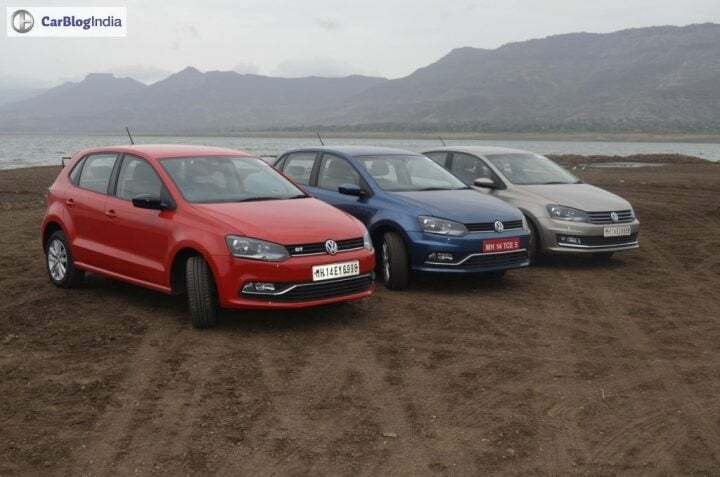 The new Vento will get cosmetic updates like LED headlamps, while the Polo is likely to get a new ‘All Star’ special edition model. Stay tuned to Car Blog India for news on the Volkswagen Ameo Diesel Price and Launch Date. 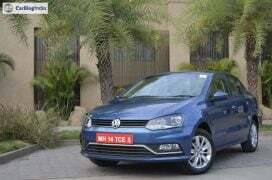 Also, watch out for our Volkswagen Ameo Diesel test drive review.